Create the ultimate shark collection with these brutal ocean predators. Use your painting skills to give them real bite. This kit of four ferocious sharks will give a snappy new dimension to your windowsill or shelf. Paint the models, arrange them and scare your friends and family with them. They’re scarily realistic and seriously cool. 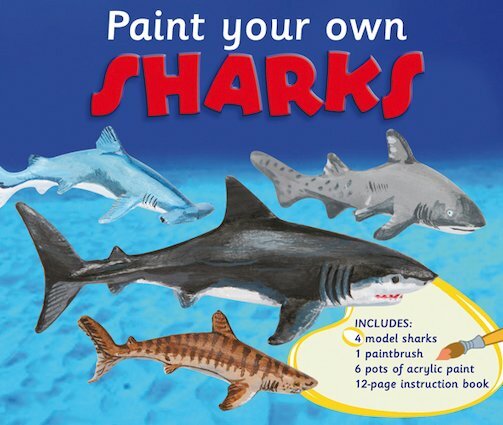 Includes four model sharks, six pots of paint, a paintbrush and a booklet of fun facts.